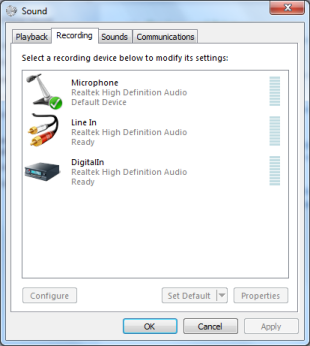 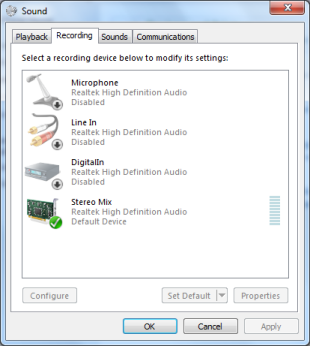 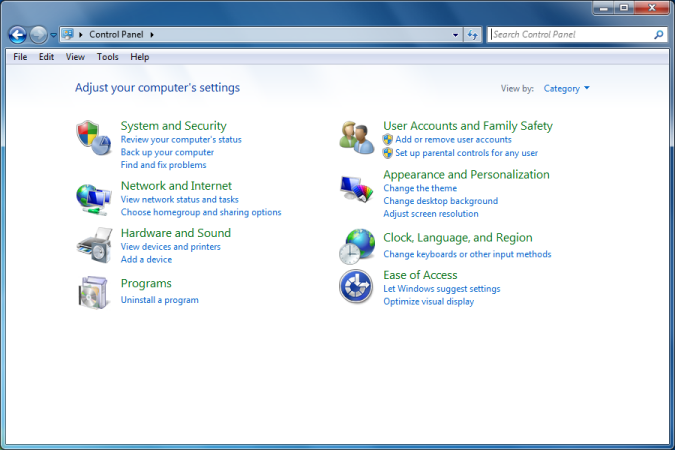 Click on the "Start" button (bottom left) then "Control panel", then click on "Hardware and sound"
Click on "manage audio devices"
When recording the strength or loudness of the sound playing should be at about 75% of maximum when monitoring. 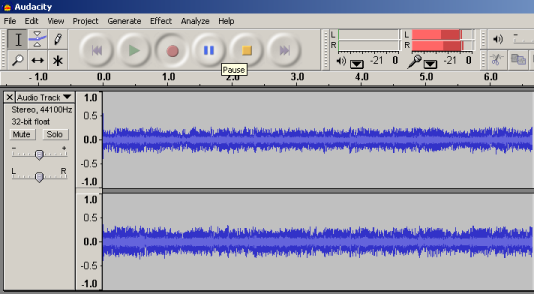 Your recording should not entirely fill the track (see below), if it does the sound is clipping because the volume has been set too high. 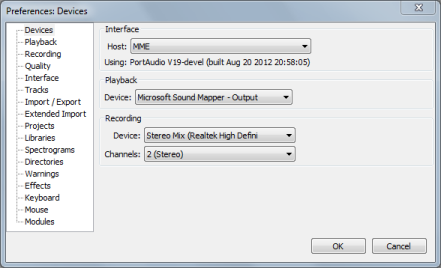 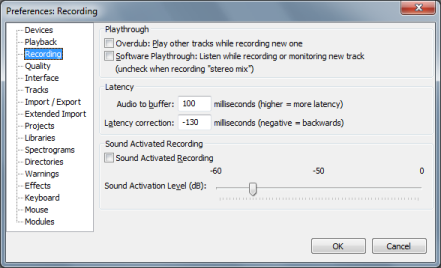 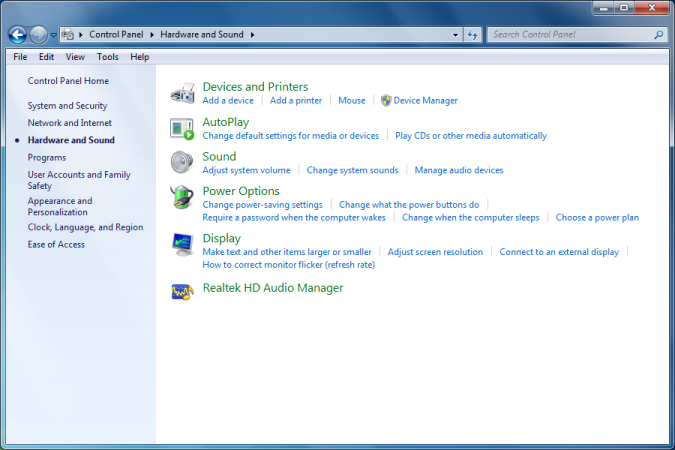 If the volume is too high you can reduce the system volume and / or reduce the "microphone" sensitivity.